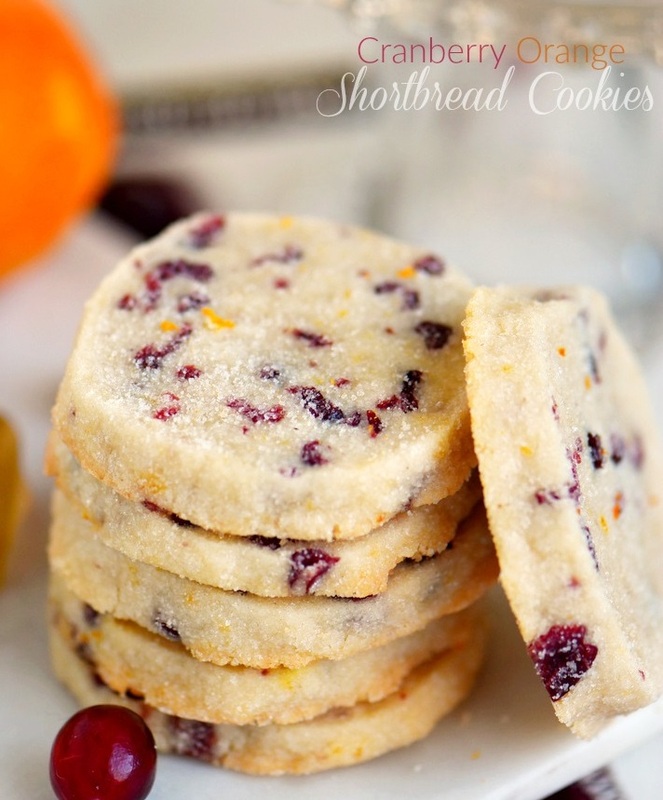 Cranberry Orange Shortbread Cookies are a delicious addition to the holidays. Why not add this recipe to your seasonal recipes and give them a try. They wrap up nicely for gift giving too! Combine cranberries and 1/4 cup of sugar in a food processor and process just until the cranberries are broken down into smaller pieces. Set aside. Combine flour and remaining sugar in a large bowl. Use a pastry cutter to cut in butter. You want very fine crumbs. Stir in extract, cranberries and sugar mixture, orange zest and orange juice (optional). Use your hands to knead the dough until it comes together and forms a ball. Work the dough until it comes together. Shape dough into a log about two inches in a diameter and wrap in plastic wrap. Refrigerate for two hours or up to 72 hours. Cut slices of cookie dough about ¼ inch thick. Place about a half a cup of sugar in a bowl and coat the cookie slices with sugar. Place cookies on baking sheet and bake for 12 to 15 minutes or just until cookies are set. Do not over bake.I pull mine at 12 minutes. Let cookies cool for several minutes on baking sheet before removing to cooling rack. Let cool completely. Store in airtight container for 3 days or freeze for up to 3 months.